Edited by Mischa Kuball. Foreword by Andreas F. Beitin, Blair French. Text by Andreas F. Beitin, Hans Belting, Horst Bredekamp, John C. Welchman, et al. Text by Hans Belting, Inka Graeve Ingelmann. Interview by Sophie Tottie. 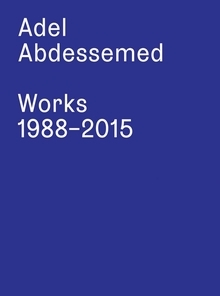 Edited by Hans Belting, Jacob Birken, Peter Weibel, Andrea Buddensieg. Text by Thomas Fillitz, Rania Gaafar, Anthony Gardner, Birgit Hopfener, Nicola Müllerschön, Adele Tan et al. By Hubert Burda. 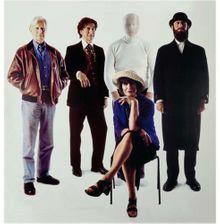 Text by Peter Sloterdijk, Bazon Brock, Hans Belting, Horst Bredekamp, Friedrich Kittler. Edited by Eckhard Fürlus and Siegfried Zielinski. Text by Ulrich Alertz, Hans Belting, Arianna Borrelli, Almut Sh. Bruckstein, Vilem Flusser, Irit Batsry, et al. Artwork by Sigmar Polke. Contributions by Rudi Fuchs, Rudi Fuchs, Charles Haxthausen. Text by Hans Belting. In Platon’s Mirror Mischa Kuball (born 1959) draws upon Plato’s famous allegory of the cave. Kuball’s installation uses projectors, silver foil, photographs and videos to create analogous experiential spaces. 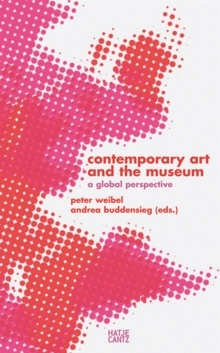 This is the third volume in Hans Belting and Peter Weibel’s Global Art and the Museum series, which analyzes how globalization affects the industry of contemporary art. 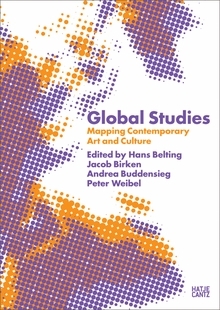 Alongside case studies of individual artists, Global Studies outlines the histories of various regional art practices, exhibitions and ideologies. 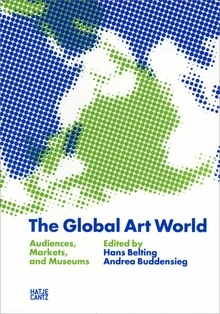 Among the topics covered are Indonesia’s art market bubble; Austrian documentary filmmakers Intersections series; Zimbabwean stone sculpture of the past decade; Alighiero Boetti’s Afghan embroideries; the influence of Chinese aesthetics on the opening ceremony at the 2008 Beijing Olympic Games. Among the contributing scholars are Chrischona Schmidt, Irina Vogelsang, Carol Yinghua Lu, Adele Tan, Anthony Gardner, Julia T.S. Binter, Isabel Seliger, Birgit Hopfener, Ding Ning, Patrick D. Flores, Monica Juneja, Cathrine Bublatzsky, Elizabeth Harney, Agung Hujatnika, Anne Linden and Rania Gaafar. Paperback, 6.75 x 9.5 in. / 456 pgs / 22 color / 74 bw. Variantology 4 revisits the early western encounter with the technological marvels of early Arabic culture. It presents scholarship on a range of subjects relating to the overlap between the arts and the sciences, from musical automata to theories of music and dance. 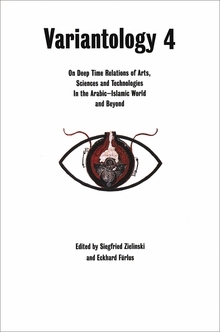 Along the way, an impressive roster of historians of the arts and the sciences transport us to such phenomena as the ninth-century House of Wisdom in Baghdad, where programmed music automata were conceived and built; to a darkened chamber in Cairo, where in the early eleventh century the laws of seeing and visual perception were rewritten; to the Al-Jazira region between the two rivers Euphrates and Tigris, where in the eleventh and twelfth centuries automaton theaters were devised in fascinating intricacy. Andalusia, India, Iran, Istanbul, Syria and the Three Moons monastic school in Beirut provide further stops on an expedition that celebrates technological marvels and wonders and the pivotal role of Arabic-Islamic culture in the prehistory of the arts and media. Paperback, 6.25 x 9.25 in. / 518 pgs / 136 color. In this new book by Hans Belting, three essays are united by one theme—the persistence of perspective after its supposed demise in the hands of modernism. Belting addresses perspective in the works of Marcel Duchamp, Hiroshi Sugimoto and Jeff Wall, in the process opening up new approaches to their work. 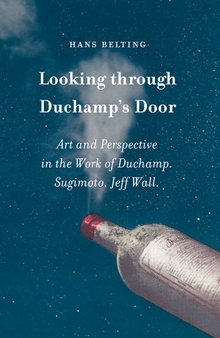 According to Belting, the door that Marcel Duchamp installed for his final masterpiece, “Etant Donnés” (which Belting tells us was inspired by a bout of seasickness on a trip to Buenos Aires) was a decisive touchstone for both Sugimoto and Wall in their formative years, and he demonstrates how they have referenced its maker many times since. Belting's argument, embellished with many illustrations, makes for a thorough reassessment of perspective. Paperback, 6 x 9.25 in. / 192 pgs / 35 color / 25 bw. Paperback, 6.75 x 9.5 in. / 408 pgs / 41 color. 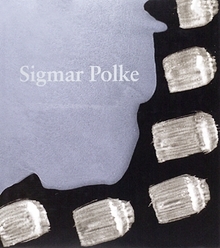 Featuring more than 250 works from 1962 to 1997, this is the first full scale monograph to be devoted to the work of the iconoclastic German painter, Sigmar Polke. With contributions by an international team of distinguised scholars and curators, this publication offers a thorough examination of the artist's work, life, iconography, and influences. 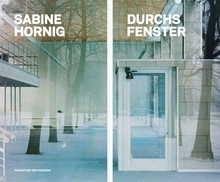 This volume focuses on the photography of multimedia artist Sabine Hornig (born 1964), in particular the Windows series, begun in 2001, which now comprises some 50 large-scale photographs. Hornig presents the windows as pictures that unite several perspectives at once: the view into an interior, the reflection of the world outside on the window pane and the window pane itself. Hardcover, 13.5 x 11.25 in. / 72 pgs / 50 color. The landscape paintings of Max Beckmann (1884-1950) are increasingly understood as fundamental to his achievement, equivalent in stature to his portraits but operating as the ground for a very different side of Beckmann's sensibility. His depictions of urban landscapes, lakeside scenes and country lanes are without the implication of allegory found in his portraiture; while they do often serve as records of places visited, they also frequently cite works from art history, and occasionally insert the artist into their narratives via personal effects positioned in the foreground, subtly orienting the scene around a human presence. Some of Beckmann's most haunting paintings fall within this genre, such as his “Moon Landscape” of 1925, in which elongated tubular rolls of cloud overhang the city nocturne, embellishing its mood with abstract unease. 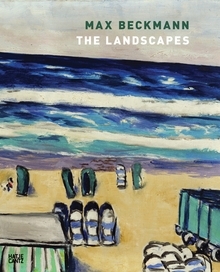 With more than 100 color plates, this volume shows Beckmann to have been among modernism's foremost exponents of landscape painting. Hardcover, 9.75 x 12 in. / 208 pgs / 115 color / 20 bw. Published by Wilhelm Fink Verlag, Munich. As digital technology advances at breakneck speed, Images are circulating quicker than ever before. But what is the status of the image in the digital era? 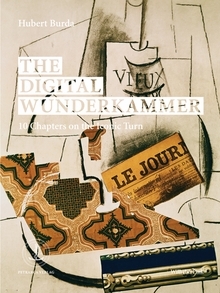 In The Digital Wunderkammer, art historian Hubert Burda (born 1940) examines the "iconic turn" in ten themed chapters and conversations with leading cultural theorists. In the first chapter, "The View Through the Window," Burda traces the connection between perspectival painting and the television, demonstrating in the second chapter how the image requires a frame, which in turn requires a material vehicle--the topic of the third chapter--that in our era has become a non-material vehicle with its own formal parameters. In the fourth chapter, "The Mobile Image," Burda shows how images have always been linked to portability, but now migrate to an unprecedented degree, so that anyone with a personal device can globally disseminate, say, footage from a concert via Youtube. 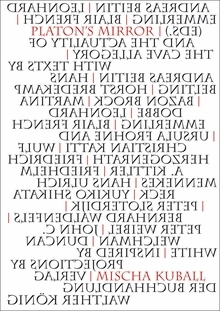 A discussion of the capacity of individual images to placate or ennervate leads to a seventh chapter on the appetite for the Sublime and the rhetoric and representation of power throughout art history. Following a discussion of the democratization of celebrity culture, Burda proposes that the Google search box is perhaps the most interesting "interface" of our times, analogous to the seventeenth-century cabinet of curiosities (or wunderkammer). Conversations with Friedrich Kittler, Peter Sloterdijk, Bazon Brock, Horst Bredekamp and Hans Belting further extend this imaginative debate on the "iconic turn." Hardcover, 8.25 x 11.75 in. / 202 pgs / 58 color / 16 bw.